What a privilege it is to catch up and meet interesting authors. They are average people like you and me, however they use their talent, passion and determination to write books and stories for your pleasure. 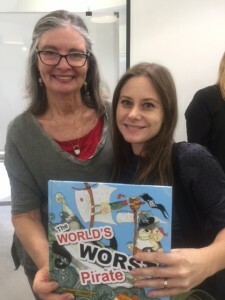 I mostly meet authors at book launches, conferences like Voices on the Coast at the Sunshine Coast or Somerset Literature festival at Mudgeeraba. 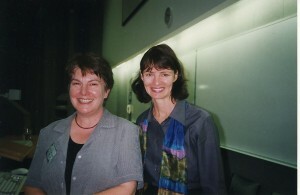 I have met authors in England, Canada and Perth, Melbourne and Sydney. Meeting authors is exciting, scary, fascinating and humbling. Meeting authors in queues, dinner tables, book signings, lecture rooms, sipping champagne, at shops. Here are some authors I have met personally. Sorry for those whom I have left out! It’s 2017 and time for the Sunshine Coast Writer’s 3 day retreat at Montville. I’m a day visitor attending some Master classes with authors like Karen Foxlee, Samantha Wheeler, illustrator Peter Carnavas, Elaine Ouston and Aleesah Darlinson. A fantastic talented group who share their love of children’s books and writing. 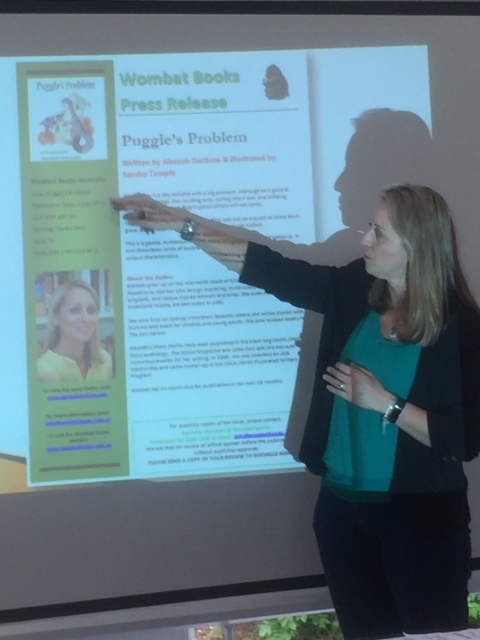 As well, there are opportunities to meet publishers and pitch your story. Surrounded by lush rainforest in an idyllic setting, this time out is perfect to learn more about the craft of writing for children. PLUS home baked goodies, delicious lunches and new friends. I feel so fortunate to be surrounded by passionate people who get down to the business of honest writing and polishing their manuscripts. Bring it on! Aleesah Darlinson is a multi- published, award winning Australian children’s author who has written over 35 books. Here she is presenting to the audience about her Press release for Puggles Problems. 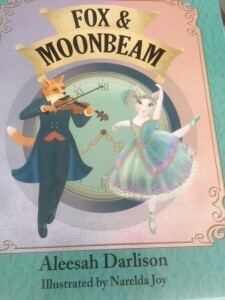 Aleesah has written Spider Iggy and her most recent picture book is called Fox and Moonbeam, set in Victorian England about Gerard Fox who lives in a world forever surrounded by shadows. 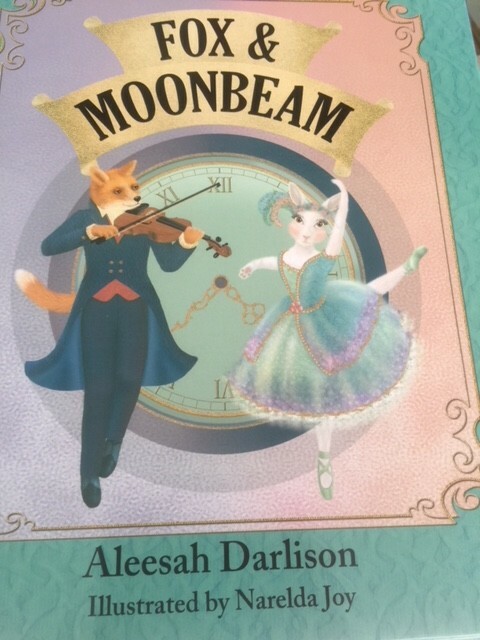 Lavishly illustrated, this beautiful tale of Gerard’s friendship with Mademoiselle Moonbeam, a famous ballerina, lends itself to children from two years and older. 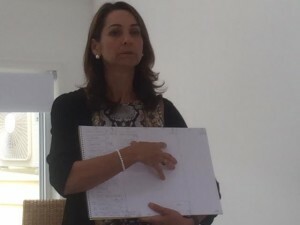 I enjoyed meeting Michelle Worthington, pictured on the right with me, who spoke about the Power of Social Media, including using a memorable website, connecting to a facebook fan page, knowing your target audience, using online brands, and getting out of your comfort zone. I purchased The World’s Worst Pirate, illustrated by Katrin Dreiling – about Will who is sea sick and hates being a pirate. There’s a Kraken, cupcakes and much more in the seven seas. 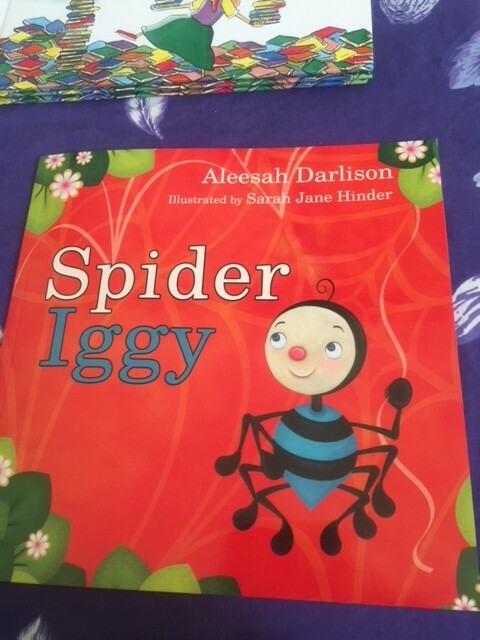 Especially a fun read for little boys and girls who like action and adventure.